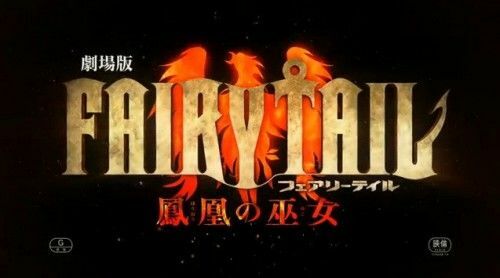 Watch Fairy Tail the Movie: Phoenix Priestess online English dubbed free with HQ / high quailty. Stream movie Fairy Tail the Movie: Phoenix Priestess English version.One day, a request flew in with the words “I want the leader of the bandit group that’s eating the nest in a certain harbor town, Geese, to be apprehended”. Natsu and the team, who are looking forward to the big reward, set out to the place of request in high spirits. However, because of a mistake Lucy made, they let Geese escape right in front of their eyes. With the request failed..Lucy, who was depressed and by herself, met a mysterious girl named Eclair and a strange bird named Momon on her way home. Eclair somehow lost her memory, and the only thing she remembers is that she must deliver the “Phoenix Stone” in her possession to somewhere. Eclair, who hates magic, and the secrets hidden within the Phoenix Stone…this meeting is the start of a brand new enemy, and a sinister plot that will confront Fairy Tail. 4.8 / 5 - 173 ratings.